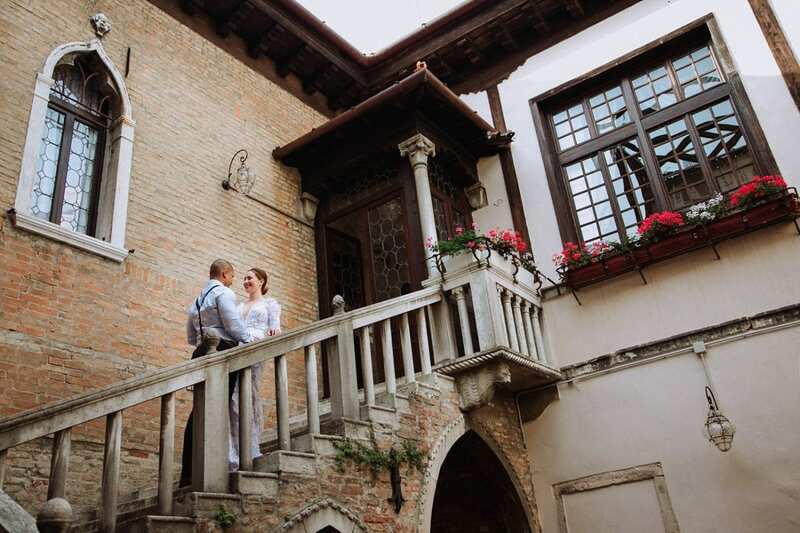 We are talking about Love that comes across the world: this is the story of Katherine and Misa! She is Canadian, he is from New York City. 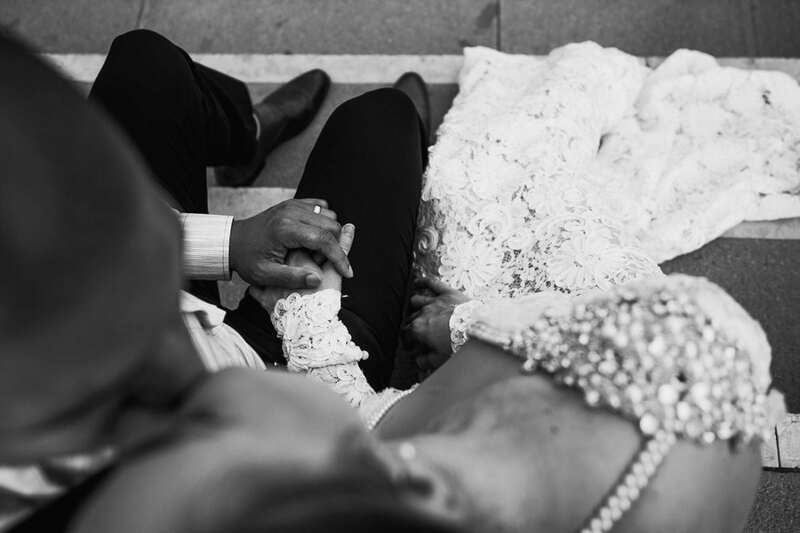 They got legally married three years ago in the States, but every time they travel they bring their wedding clothes with them and exchange their promises again. 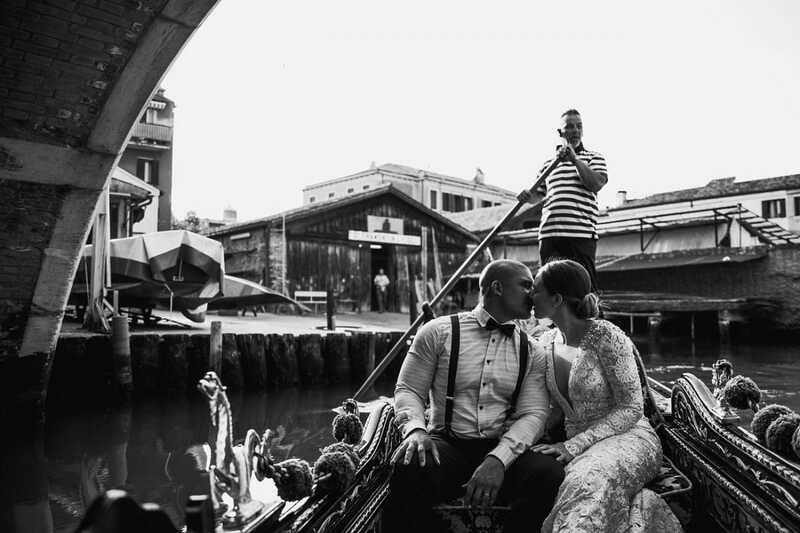 When they were planning their trip to Italy, they had no doubt: they had to have a gondola Wedding in Venice! Here’s the story of their love. Enjoy! 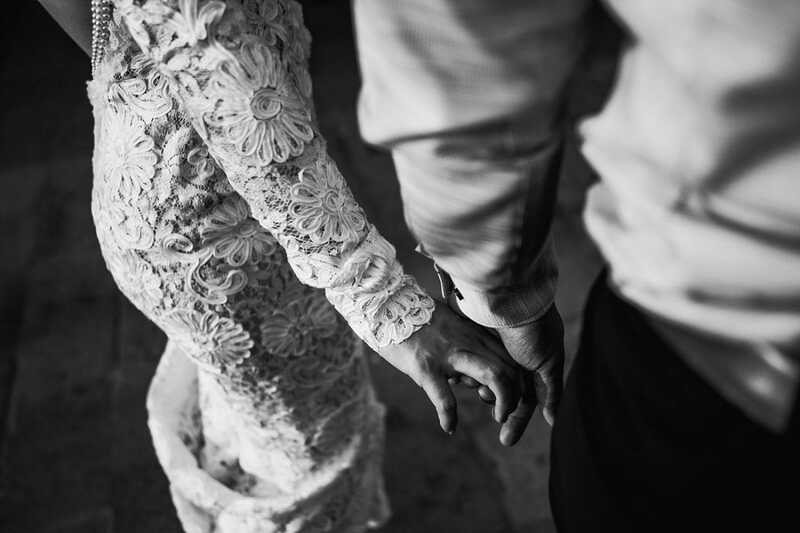 Getting married to the love of your life is a once in a lifetime dream. But does it really have to be just once? 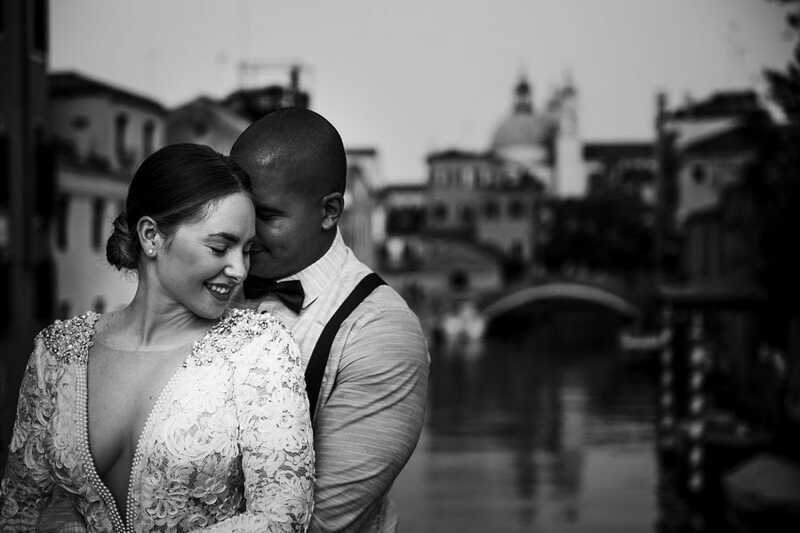 Katherine and Misa came to Italy from Toronto, and couldn’t wait to live their wedding memories again. 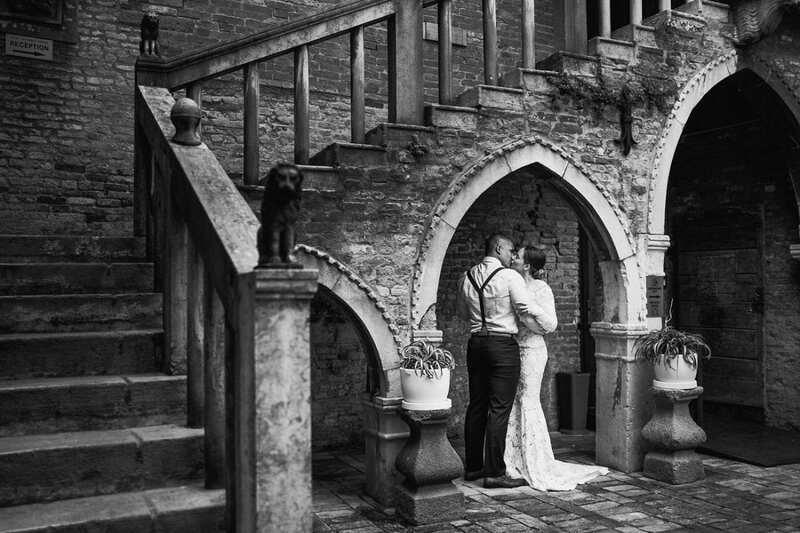 They put on their wedding dresses – they looked stunning! – and walked hand in hand to the most romantic gondola ride of their life. 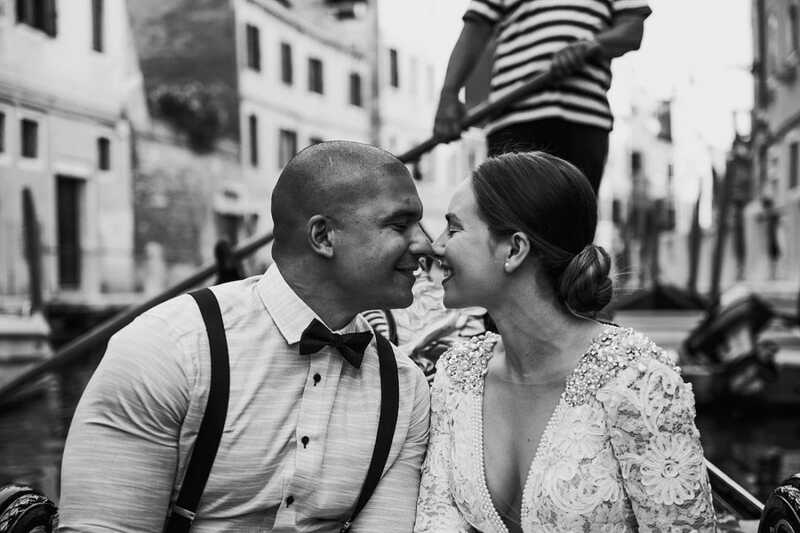 Once in the gondola, both the bride and groom put their journals out of their pockets and read some brand new wedding vows to one another, as the sun was slowly setting down in a beautiful Venice afternoon. We had a romantic walk with them afterward – she was walking barefoot, and he was holding up her shoes. When asked, Katherine had no doubt: she definitely married (and re-married, over and over again) a total prince charming!